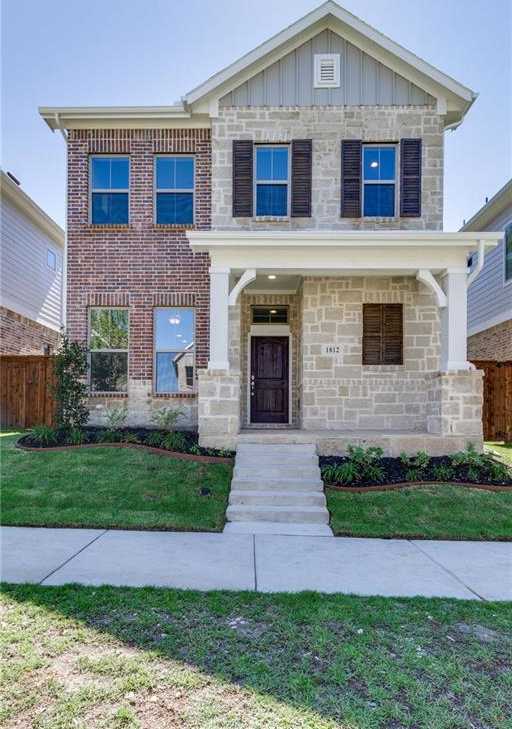 Gorgeous NEW DAVID WEEKLEY HOME adjacent to greenbelt in sought after Walsh of Fort Worth. Aledo ISD and new on sight Walsh Elementary School. Wonderful amentities. Brick and stone elevation, shutters, covered front porch-patio. Open study and spacious open concept kitchen with large island-dining-living with 12′ ceilings and lots of windows. Beautiful flooring! Walsh amenities include parks, pools, state of the art fitness center, markerspace, market, co-work space, and much more! Outstanding builder warranty, builder reputation and green features. Please, send me more information on this property: MLS# 13843106 – $345,000 – 1812 Roundtree Circle, Aledo, TX 76008. I would like to schedule a showing appointment for this property: MLS# 13843106 – $345,000 – 1812 Roundtree Circle, Aledo, TX 76008.